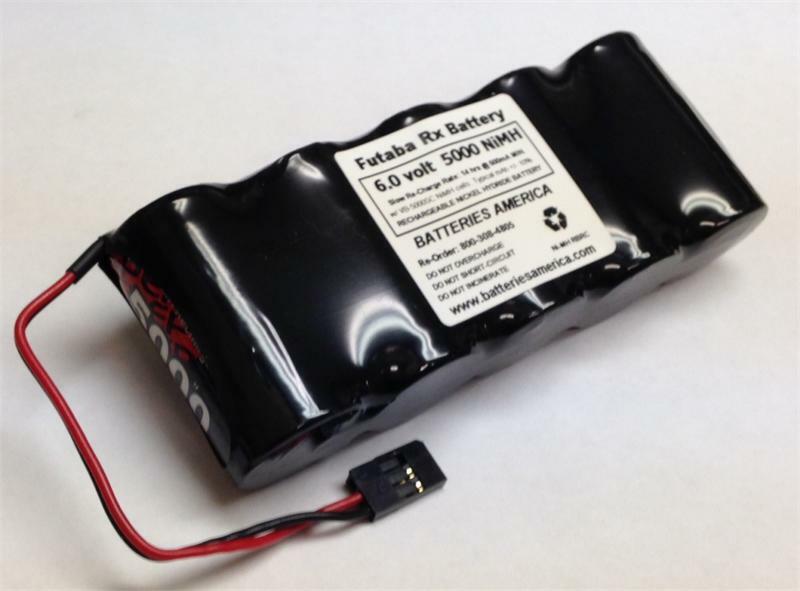 5EP5000SC : 6.0volt 5000mAh rechargeable NiMH battery pack for RC hobby. Made with premium Sub-C size Ni-MH battery cells, for MAXIMUM CAPACITY. Choose pack shape and connector from menus. 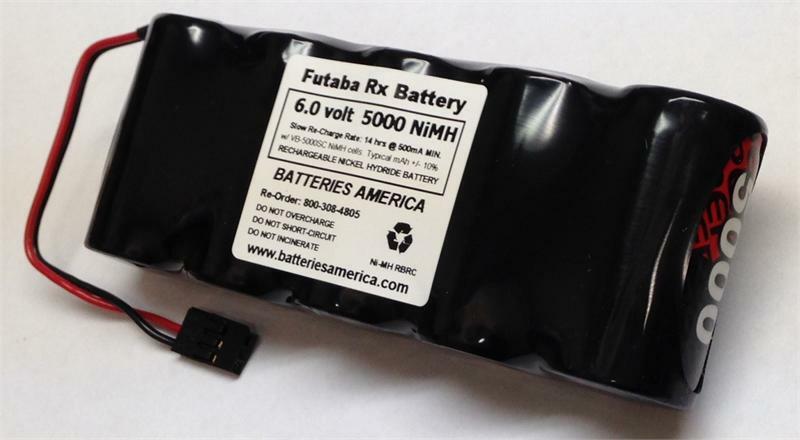 Exclusively offerred by BATTERIES AMERICA, manufactured in the U.S.A. ! Additional option: choose extra connector for charging or high current delivery. Pricing effective 8-2018, and reflects options chosen.